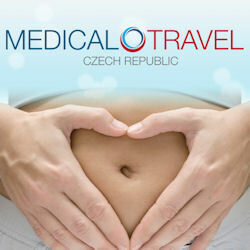 Medical Travel is a medical tourism agency based in Prague. They work with leading specialists and clinics in the Czech Republic to provide overseas clients with high quality, affordable healthcare. Services available at Medical Travel include infertility treatment at Gynem Fertility Clinic, plastic surgery at Brandeis Clinic or Perfect Clinic, obesity surgery at ISCARE Clinic and cancer proton therapy at The Proton Therapy Centre. As a small, friendly company, Medical Travel provide a highly personalised service. Clients are supported throughout the treatment process by an experienced team of international representatives who provide help with planning and travel arrangements, airport pickup by an English-speaking driver, initial transfer to the clinic and 24 hour assistance in Prague. Prices at Medical Travel are transparent, with no hidden extras and packages are offered for many procedures. Free online consultations are available.